WordPress is another extraordinary website for blogging. Its majority of customization is based on Plugins but apart from its Plugins, it got plenty of other options to visible your content in a better way. Therefore you need to learn WordPress step-by-step in order to make your site more responsive and attractive for your visitors. This course is based on one week. You can start it from Sunday to Saturday. If you learned this Guide, you will not do most common WordPress mistakes on your site. So let's start our journey from day 1. First of all, you should know the difference between WordPress.com vs WordPress.org, because both sites are different. If you have created a free site on WordPress.com and now want to Migrate from WordPress.com to WordPress.org, better to purchase a domain plus hosting from a reputed hosting website. There are hundreds of hosting websites there but to select a best WordPress hosting website, which runs smoothly with no downtime is a tough decision. Now Select a Good Domain Name For Your Site. You will be asking Why we are Purchasing Domain Plus Hosting? if we are creating a free WordPress site on WordPress.com. Well, one thing you should keep in your mind that, if you have created a site on WordPress.com like example.com. Now that site is not yours unless you shift it to WordPress.org. WordPress.com can ban your site at any time, if you violate their rules and regulations. On the other side, if you purchase a domain plus hosting then the site becomes yours. That's why we are purchasing domain plus hosting. 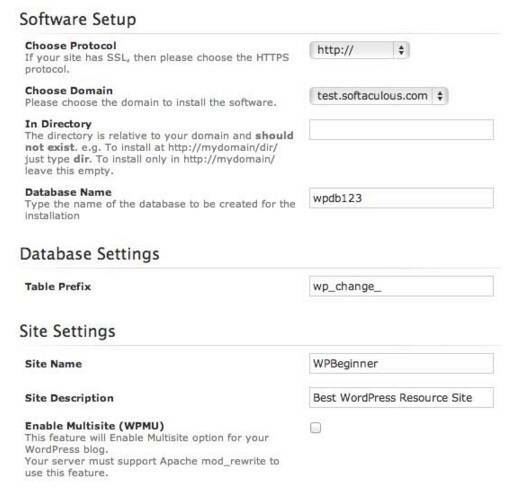 Well, first thing first, you have to install WordPress on our web hosting account. The tutorials given below will help you to install WordPress manually on your site. 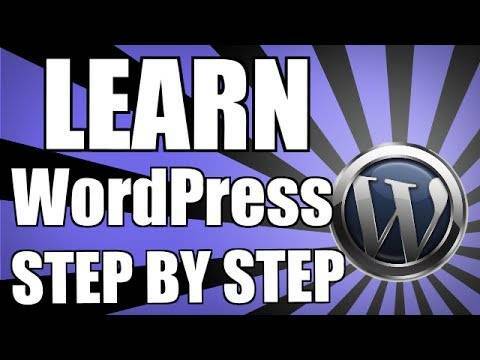 So let's go to start our one week journey of learn WordPress step by step through installing WordPress account. What Should I Need Before Installing WordPress? You need to choose a good domain name with a good web hosting company. We recommend Bluehost and hostgator for WordPress Hosting. There are number of ways through which you can install WordPress but I am going to give you two easy ways through which you can easily install WordPress on your server. It’s a one-click installation process, which is adopting by many web hosting companies. 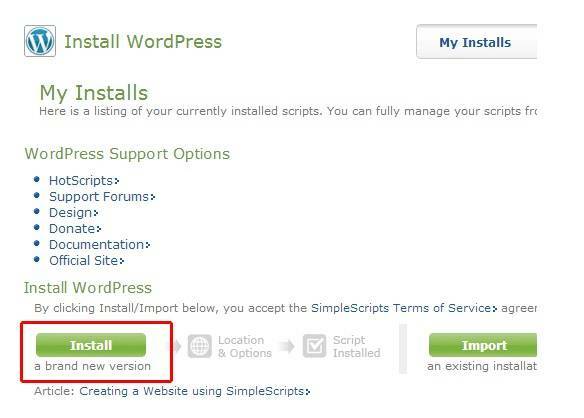 If you want to install WordPress through SimpleScripts process then you need to see either SimpleScripts is installed on their servers or not? 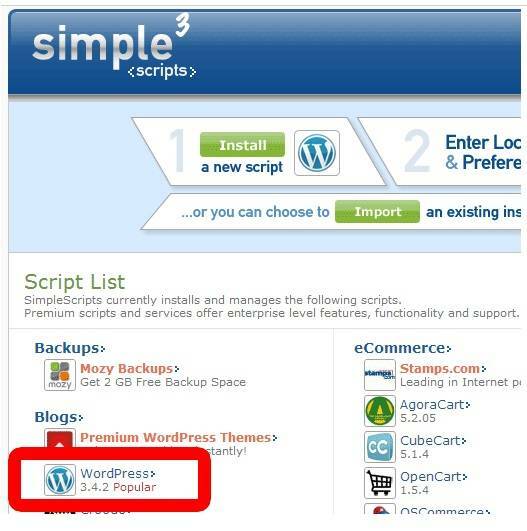 You need to check on your hosting website, either it allows SimpleScripts installation processor or not. In most hosting websites, you will see following icon. Now just click on the the simple scripts icon to begin. It will lead you to SimpleScripts page. 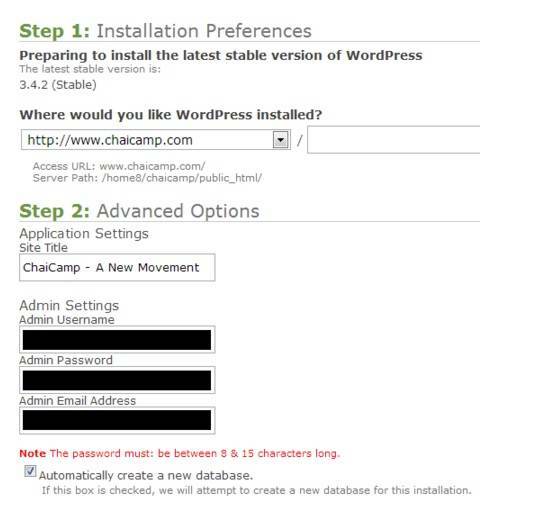 Once you click on WordPress Icon, you will be prompted to installation page. On this page you can manage all WordPress installations. You just need to click on the install button. It will lead you to the next page, where you can install you main site and sub domains. Here you can choose your blog title and essential credentials through (Click here to show more). Just scroll down and accept on automatically create a new database. Wait for a while, because it works behind and once it completed you will receive this page. Now it will gave you a link, through which you can login by your own username and password. At the beginning WordPress dashboard is little confusing but with the passage of time you will get used to it. Fantastico is also a one-click installation process. 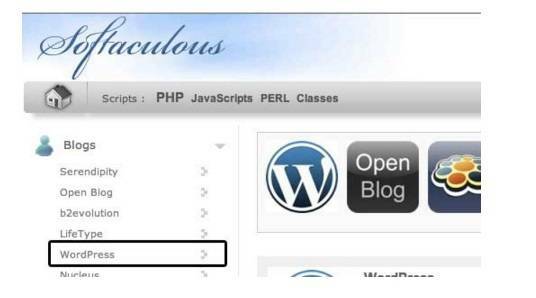 Before installing WordPress you should check Softaculous icon on web-hosting site. The icon will be look like below. Just click on the icon. Now it will lead you to the next page, where you have to click on blogs and select WordPress. Click on WordPress icon and it will leads you to install icon. Here you will find a brief intro of the software. You should fill up all important information associated with your blog and then click on install button. You will prompt to a new page, where you can choose your domain name etc. Here you should enter your site name with description and just leave WPMU Box, if you don't know any thing about it. Now this page leads to your WordPress administration. 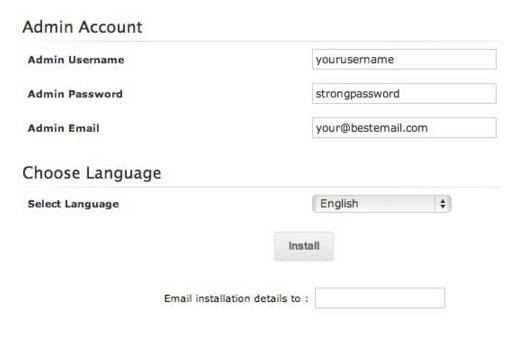 Here you need to set your username and a strong password with your admin email. Now just click on the install button and it will take some time for installation. Once you done with installation, just go to yourdomain.com/admin. Now you need to login to domain admin in order to get into your WordPress dashboard. Should I Install WordPress In My Computer? Well, there is a difference between installing WordPress in your computer and on your server. If you want to available your site to the rest of the world then you can use the above two methods to install WordPress. On the other hand, If you only want to see your site, then you should install WordPress on your site. 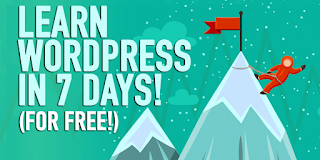 If you want to learn WordPress Step by Step, all you need to visit these three sites for more information, because these three sites got all relevant stuffs related to WordPress and its plugins. Majority of bloggers are referring Codex as the Bible of WordPress and it is. It contains all information and solutions for both WordPress beginners and those in advanced level. If you need any kind of help related to your WordPress blog, all you need to visit this site, because it will quickly solve your problem. Your problems can be associated with Plugins, Theme Customization or any other issue, better to visit this site for help. WordPress TV is another great side for visual learning. This is another great site for WordPress beginners. 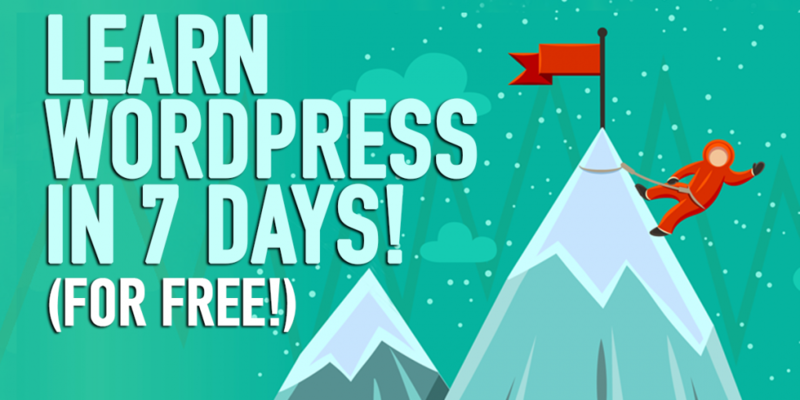 It contains lots of WordPress Tutorials and hours of presentations delivered on WordCamps. These presentations are based on many topics, such as SEO, WordPress Developers and Visual Editors etc. Andrew Nacin and Mark Jaquith are WordPress core developer experts, they have contributed an outstanding knowledge to the rest of the world. You can easily search video tutorials for your WordPress blog from this site. Secondly, if you want to contribute something for the WordPress, all you need to join this Make WordPress Core. So, on the second day, we have learn all those WordPress sites which are beneficial for our blog. From If you need any help you have to visit WordPress Codex, if you need Presentation and Guides, you need to visit WordPress TV or if you need video tutorials, you can visit WordPress Core. Selecting WordPress Theme is the first customization on your site. Uploading a WordPress theme on your site is quite easy, all you need to go to themes, and click on upload. But make sure you have downloaded an XML theme file on your site. You can select theme from WordPress theme gallery as well. How to Develop a WordPress Theme? So, on the third day, we have learned to customize theme in order to keep our site more attractive and responsive. As we all know that, WordPress is a place of Plugins, through which you can customize your site in a better way. Plugins are an essential part of WordPress, better to use all essential plugins on your site. Secondly, if you want to Create a WordPress Plugin better to read this Article as well. These Plugins are mostly used on WordPress? So, on fourth day we have learned all about WordPress Plugins. Well, SEO is one of the best technique to visible your site on search engines. WordPress is best place to optimize your posts in a better way, because it is providing an easy excess to its users. You can use SEO by Yoast Plugin for optimization in WordPress. Secondly you can read My SEO Guide or a Guide by Moz for more information about SEO. WPTuts got number of tutorials for beginners. Difference between White and Black Hat SEO? How to Optimize SEO For Images, Videos, Sounds, Frames,Animations and Movies? Designing play an important role to visible your content in a better way. Therefore your blog's design should be responsive, clean and attractive for your visitors. Structured Data is another latest trend started with a mission to make things easier for its users. Structured Data simply associates with a website and provide more details regarding to their addresses, places, products, events and biography etc. You can find all these features on Schema.org. Search engine give an importance to structured data, therefore it has created a Structured Data Testing Tool to rank a site on search engine. If you want to include Structured Data on your site, then you have to add SEO by Yoast or login to Google Webmaster Tools and add biography, addresses, products and service on your site. If you not like SEO by Yoast, you can add Schema Creator Plugin on your WordPress blog to deal with Structured Data. This Plugin connect your site with Schema's micro-data. Many newbies are not learn WordPress step by step and that's why they are unable to deliver their content in a better way. Icon Fonts an important factor in WordPress blog. Automatic had recently released Genericons icons. Genericons are actually vector icons, which can be used in web-font designing. It contains ninety four (94) embedded vector icons. You can run these sets through Webfont Generator at FontSquirrel, because they are in OTF version. Some other fonts are also available on Font Squirrel . Now you can easily add a Plugin to deal these icon fonts on your site. Just add Genericon'dPlugin on your site and change icon fonts on your WordPress site. Or you can use Fontello to generate a custom icon for your site. Or you can use Inkscape or Community Icon Font or IcoMoon Font as well for more Icon Fonts. At last you can keep yourself updated through different WordPress resources. Now you need WordPress' new center to upgrade your blog through latest innovations and techniques. You can update yourself with latest news through..
Yeah Wordpress is better to optimize your content in a better way. This article helps newbies who wants to start to blog. Keep up your good work. Thanks for providing this best info.